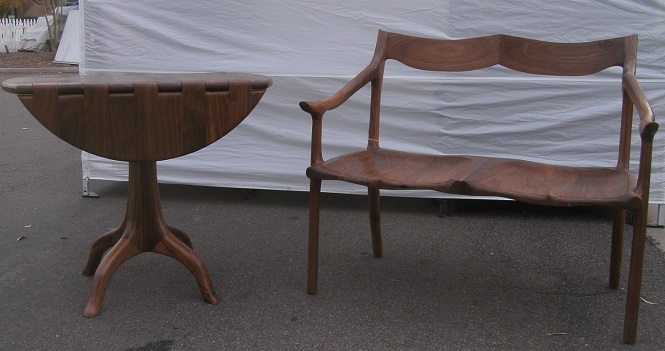 This wooden hinge pedestal table and settee were made for a customer that has a collection of our works. Beautiful black walnut was the wood of choice. The settee has purple heart plugs for an accent and the table has purple heart used for the cross joinery underneath. 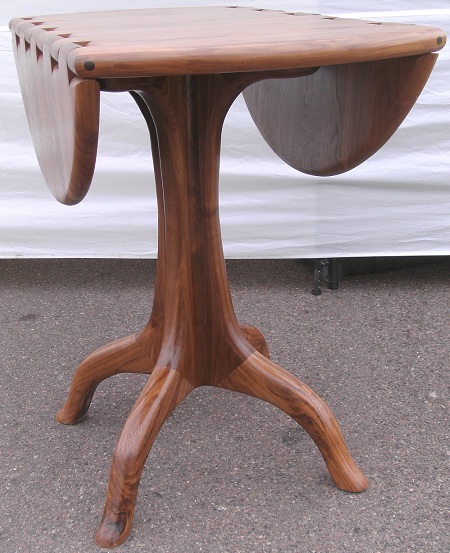 We have made this wooden hinge table out of mahogany and cherry in the past, but not walnut. 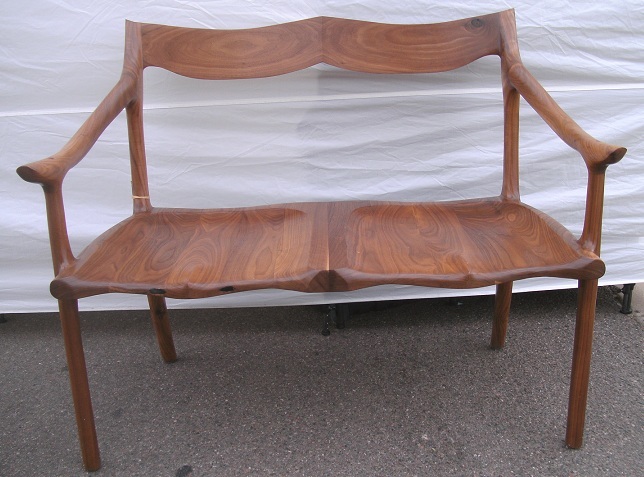 It just goes to show just how beautiful the walnut really is and why it is so popular a wood. We were able to display them at a show in Fountain Hills AZ, before the customer was coming to pick them up and they got a lot of attention. 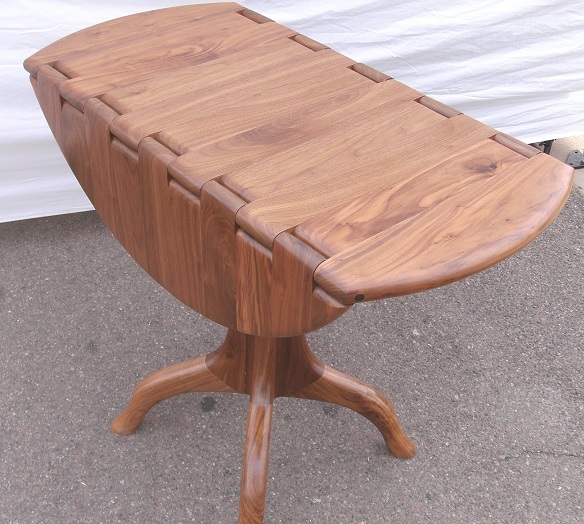 Top of the table showing off the gorgeous grain in the walnut and the wooden hinges. The hand carved pedestal base. This picture shows the grain patterns in the walnut and how good Scott lines it all up to flow beautifully. You are currently browsing the Shangrilawoodworks's Blog blog archives for March, 2011.